Sign language is not the only way deaf people can use gestures or make signs with their hands to communicate. Sign language - whichever one - is usually preferential to other forms of gesture based communication systems because it is a language as a whole. It has grammar, structure, syntax and rules. However, for a variety of reasons people may not want to or indeed be able to learn a whole language based around signing. In this case, other forms of manually coded language come in. The most popular of these in the UK at least is Sign Supported English. As the name suggests, sign supported English relates to the English language. British Sign Language does not. In a sign language - British or otherwise, the structure of the language is unique to that language. It bears no resemblance to the main spoken language in the country in which it is used. Sign supported English however, takes the signs from British sign language and uses them in the order that the words would be spoken in English. This means that a working knowledge of the signs for different words is needed in order to understand and use sign supported English, but the more complex grammar is not. This method of signing is also sometimes referred to as conceptually accurate signed language. Who Can Use Sign Supported English? Anyone who knows plenty of signs can use sign supported English so as long as you have a good vocabulary, you will be able to manage it. The more signs you know the better, but people who only know a limited number of signs can often get by signing the main words in a sentence and mouthing the others clearly. This of course, relies of the person to whom you are speaking being able to lipread. Systems of communication such as sign supported English, as they cannot truly be called languages, are known as manually coded English. There are many different variants throughout the English speaking world. The one thing they all have in common is that they represent English using signs, rather than having their own language system. 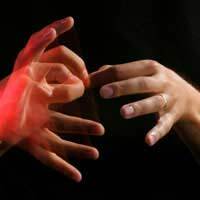 But in the USA and other countries, the relationship between various sign languages and American English gets complicated and boundaries blurred. For the purposes of speakers in the UK, sign supported English is the main variant with which to concern oneself. Sign supported English may not be as satisfactory a language in its own right as British Sign Language but there can be no doubt that it fills a much needed hole. For people who struggle with language learning, sign supported English eliminates this need and all the person must learn is new vocabulary. If the person you are signing to does not know English, it can be tricky to make them understand and you will certainly be better off with sign language. But if they are familiar with English then sign supported English should be understood by them just the same. I want to be someone who helps people when I'm older and I am trying to learn BSL so I can talk or help deaf people, is there any free beginners courses so I can have a taster of what it's like? I was born deaf in birth with including sign support English to through my life. It's helpful piece, could I know the assumptions attached to the use if sign language? Can anyone help me ? I am trying to find an SSE class or lessons in SWWales and have had no luck. Failing that, are there any publications I can obtain or onlineassiatance in any form ?